We are all super excited to see what you have in store for your gardens this season! Or maybe you’re a little more like us and don’t have what you want exactly planned out. That’s ok! 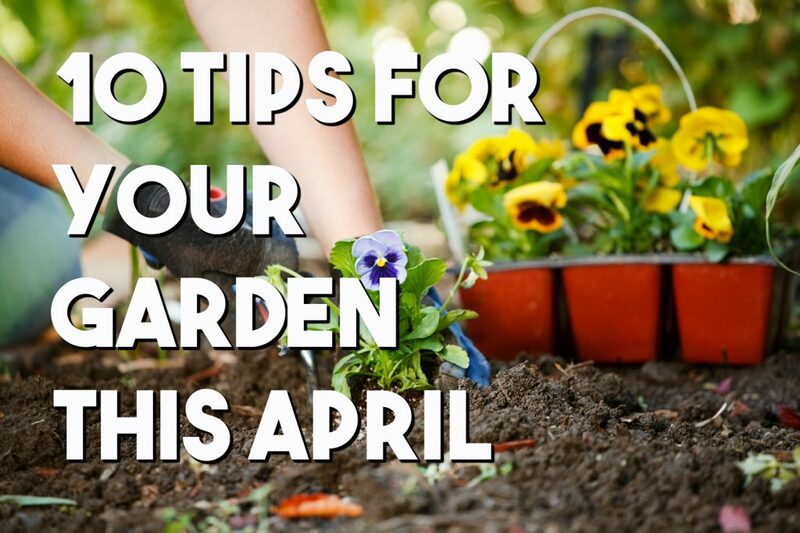 Whether you’re a seasoned gardening pro or this is your first time trying out your green thumb, these tips are sure to be helpful! Want to avoid rabbits and groundhogs stealing your seedlings this year? Save the sweepings after a haircut and scatter them around your garden. This will keep them and others like snails and deer out! The hair will also work as a natural mulch and add nitrogen to the soil. Make sure to research the growing conditions of your area before planting. No matter how good you are at gardening, you can’t make something grow that won’t! When you are getting ready to use your shovels, hoes, and other metal tools be sure to coat them with a layer of car wax or peanut oil from a local restaurant. This will protect tools from rust and make dirt fall right off, eliminating the dreaded cling. If you are stuck with squirrels in your area, grate a bar or two of Irish Spring soap around your garden. The smell will linger even as a the shavings dissipate and keep these little guys away. Ok, last tip regarding garden predators, or animals that are cute and fluffy as long as you’re not a vegetable. Put plastic forks in your garden, fork side up to prevent digging. This won’t harm any animals or your garden, it will just leave no space to be dug into. The fertile soil and easy growing conditions of springtime don’t just lead to better garden growth, it allows for weeds to spring up as well. Take care of these with an at home solution, really it’s that cheap and safe! Just combine one gallon white vinegar, one cup table salt and one tablespoon Dawn dish soap, load into a garden sprayer, and have at it. What kind of garden experts would we be if we didn’t remind you of GreenKing’s DeepDrip Tree watering stakes? They come in 4 perfect sizes to get everything from your flowerbed to apple tree watered from the root. Don’t forget that these guys also prevent pests and weeds by keeping water from pooling up around your plants. Plant marigolds around your garden bed to brighten up your backyard but also ward off pests. These work especially well around tomatoes and cabbage. Most of us would assume that it is totally fine to water plants in full sunlight. But when it comes to your squash plants, always water them before sunrise or after sunset or else they could be damaged or even killed! When putting down mulch in your garden (an important step in case you didn’t know) ut down sheets of newspaper around plants before you put it down. The newspaper will insure that weeds and grass can’t come up. This would also be a great time to install your stakes! So You’ve Planted Your Roots, Now What? Send Scorpions Packing with These DIY Tips!